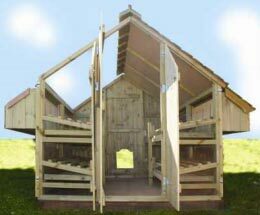 Home Chicken Coop - Expert Information & Advice Get expert advice on setting up or building a chicken coop at home today. Hi, and WELCOME to Home Chicken Coops! My name is Chris and I'm passionate about raising healthy happy backyard chickens. I built my first chicken coop 15 years ago. Since then I've built many more and I always have chickens in my backyard. I encourage you to browse my website, read my tips and suggestions, learn from my experience, and leave a comment if you have a question. Fixed Or Mobile Chicken Coop? © 2019 Home Chicken Coop - Expert Information & Advice. All Rights Reserved.